Bidroom is an initiative designed by hoteliers for hoteliers and started in 2014. The company is an alternative to high-commission platforms and one that brings more business freedom to the hospitality industry. In September, the company entered a new phase with an expansion of the board. This new board announced new strategic plans containing product improvement, concept development and solid growth of the Bidroom community. The capital injection will be used for the accelerated international roll-out. According to CEO Bas Tolmeijer, Bidroom’s workforce will expand to 200 employees within the next year after the company moves into a new, hypermodern office in Kraków in April 2019. He says that right now, the focus is on the recruitment of IT specialists, marketeers and customer service employees. The capital injection will also be used to renew the business model, to develop smart technology and to expand availability by partnering with more large chain hotels. Tolmeijer adds that investments are made in sustainable cooperation with various worldwide partners such as Visa, which recently formed an exclusive partnership with Bidroom. The new shareholders are mainly so-called family offices that have faith in the new concept. Bidroom is working behind the scenes to finalize the new growth strategy and launch of consumer campaigns. According to Francesco Monaco, CCO of Bidroom, the special collaboration with Visa is aimed at enabling all their European cardholders to get to know the benefits of booking via Bidroom. “Our research has shown that there is a particular need for city trips, whereby people often opt for hotels in the higher segment. With this in mind, Bidroom has decided to pay the activation costs for the next 10,000 hotels that register”, says Monaco. 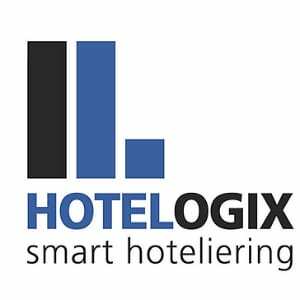 The company also indicates that it will open new offices and expand their teams in the short term, in order to be able to optimize the services to the hotels.